Charles Dickensâ âA Christmas Carolâ will be performed Wednesday and Thursday at the Vilar Performing Arts Center. 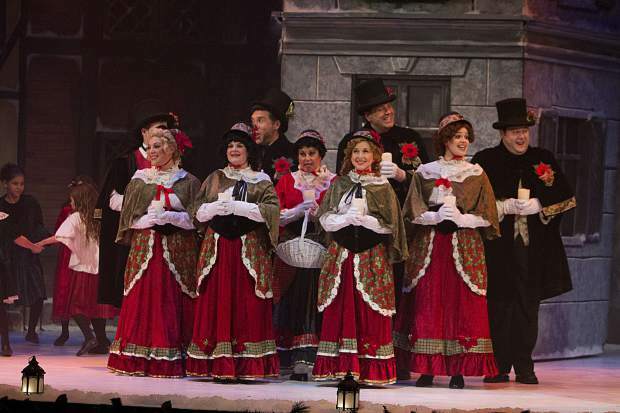 BEAVER CREEK — The Vilar Performing Arts Center presents the holiday classic, Charles Dickens’ “A Christmas Carol,” on Wednesday and Thursday. The touring production, from Lincoln, New Hampshire’s North Country Center for the Arts, features a new script adaptation, direction and performance as Scrooge by award-winning and 40-year theatre veteran Scott H. Severance. Single tickets for the show are $65 for adults/$35 for children and are available now at the VPAC box office (970-845-8497; http://www.vilarpac.org). 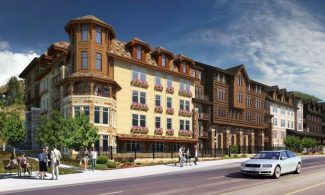 The VPAC is located under the ice rink in Beaver Creek Village (68 Avondale Lane, Beaver Creek). The new production utilizes a large ensemble of professional actors, scenic design featuring state of the art technology, as well as 26 traditional carols of the season to tell the classic tale of the miserly Ebenezer Scrooge, who is made to see the light as he survives a merciless battery of revelations by the ghosts of his own life. This national tour of “A Christmas Carol” will feature an original script which was first written in a contemporary setting, and later translated back into Dickensian 1840s London. The result is a tale set in “A Christmas Carol’s” recognizable 1840s London with language that is vital and accessible to the modern ear.